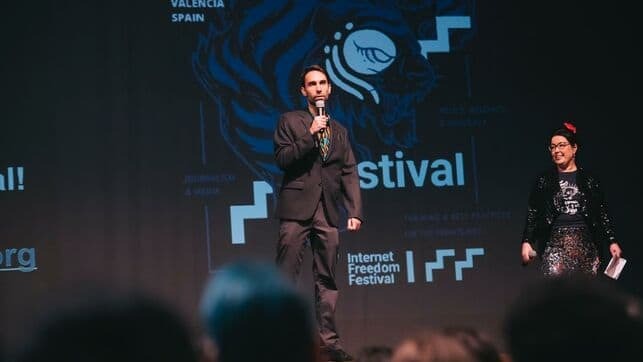 The fifth Internet Freedom Festival (IFF) took place in April 1-5 in Valencia, Spain. 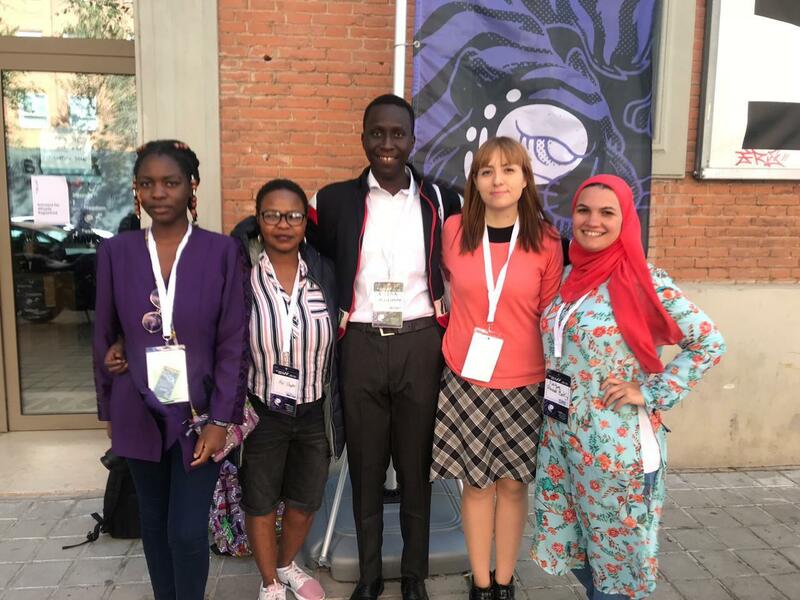 The annual event is known for hosting activists, journalists, technologies and human rights defenders from around the world as a safe space to work together and express their opinions freely. 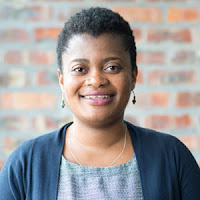 Digital Grassroots President, Esther, was this years IFF Community Development fellow for the Next Net theme. At this fifth year celebration of the festival, Digital Grassroots hosted three sessions including; "Feminist Internet: Current Situation and Challenges", "Emerging Technologies and the Future of the Workplace" and "Youth Participation in Internet Governance". 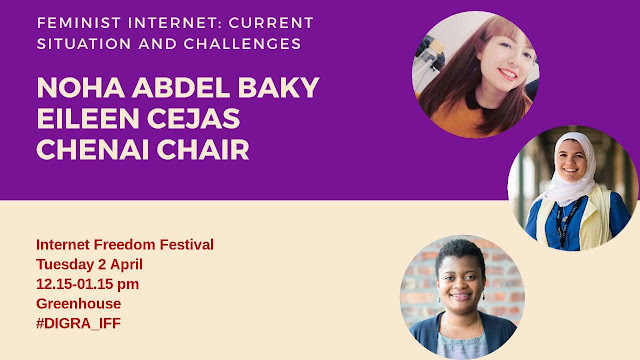 On the Feminist Internet Session, our Communications Director Eileen Cejas, Programs Director Noha Ashraf and Chenai Chair made storytelling about different issues that needs to be tackled urgently. Their stories of sexual abuse, online harassment and disabled people touched people's hearts and encouraged them to share their own and also to elaborate the "Feminist Internet Manifiesto" collaboratively while they were drinking mate, a South American traditional beverage. From this Manifesto, a Feminist Internet Network will be constructed. 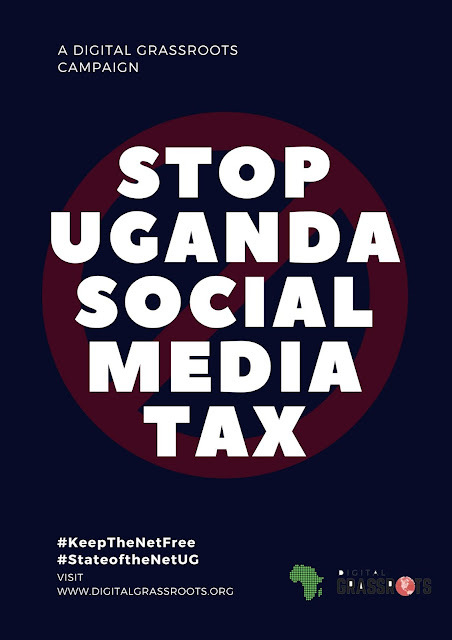 Some of the issues of the session were: Cyber-harassment, not all women know all the tools to manage these situations; and the need of funding to support projects related to Feminist Internet. And the possible solutions were: Build Communities working together and Creating cultures of international solidarity (Sorority). The full version of the Manifiesto will be shared soon. 'Emerging Technologies' session mentioned some statistics on the Global North by Cat Blake and stats on Global South, presented by DIGRAs Finance Director Adisa Bolutife. After the introduction, there was a group discussion on the present and future of Internet and how it will have an impact on the workplaces and future workforce. 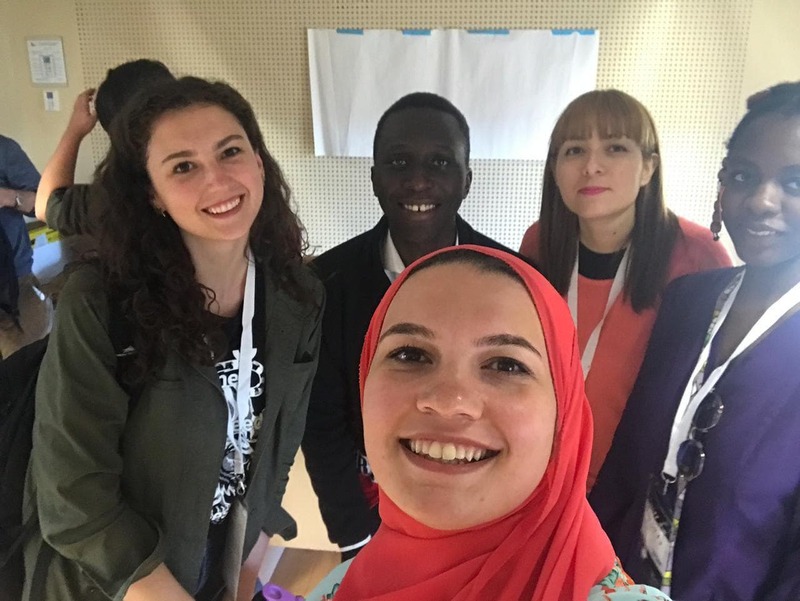 The role of other sectors in societies such as private sector and government were analyzed in order to prepare younger generation for the future jobs and those that will be lost to machines or AI due to the fourth revolution. 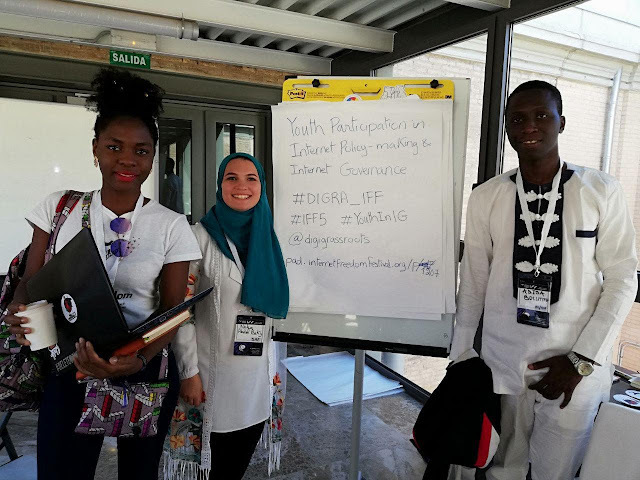 The session on 'Youth Participation in Internet Governance...' was hosted by DIGRAs President Esther Mwema and Programs Director Noha Ashraf, who gave an introduction of Internet Governance and arranged a debate on why youth participation is important or not in the Internet Governance space. The session explored whether a youth stakeholder group would encourage youth participation. 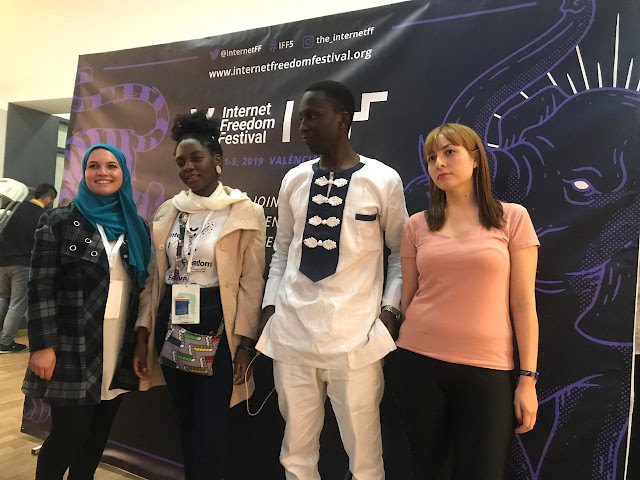 Attendees challenged themselves on prejudices and facts about young people and their role in the future of the development of Internet. Internet Governance expert and MAG member Chenai Chair offered her perspectives on creating an internet that was inclusive to youth at all levels. We want to thank the organisers of the IFF for having us and the whole IFF Community for the constant support and love we received. To get involved in the Feminist Internet Network, look for the channel at IFF Mattermost or contact us directly through our contact form. Do you want to learn more about our current programs? Check how to get involved here and read about Community Leaders here.